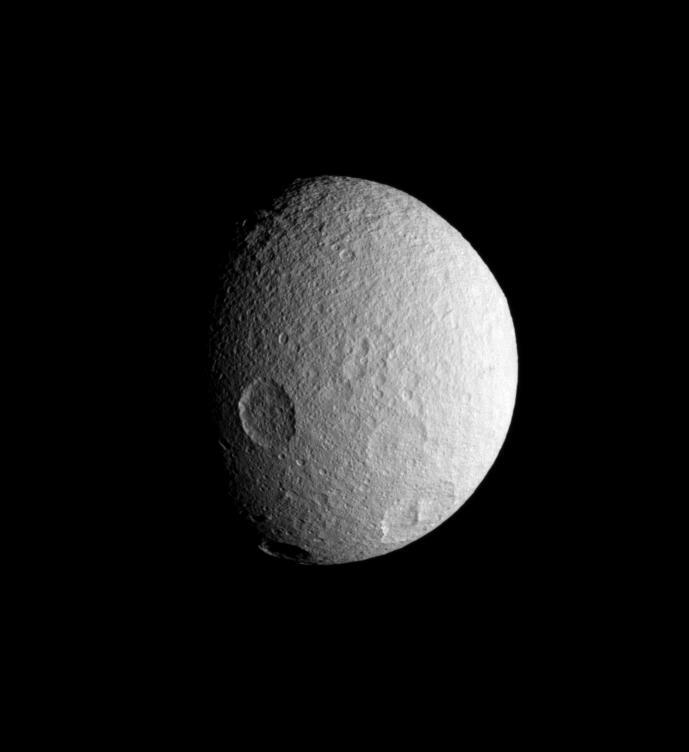 The Cassini spacecraft spies four large impact basins on the southern hemisphere of icy Tethys. 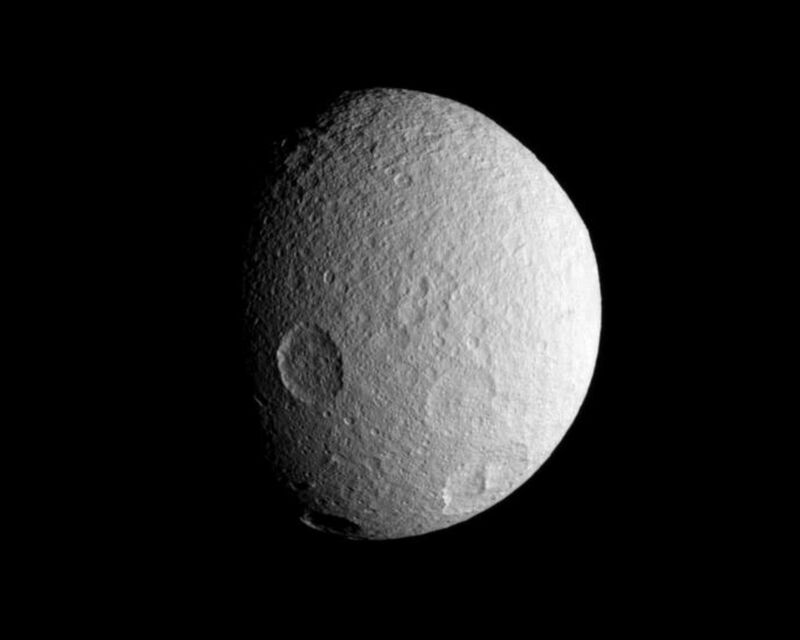 Tethys (1,071 kilometers, or 665 miles across), like the other airless worlds of the Solar System, wears the record of countless impacts experienced over the eons. 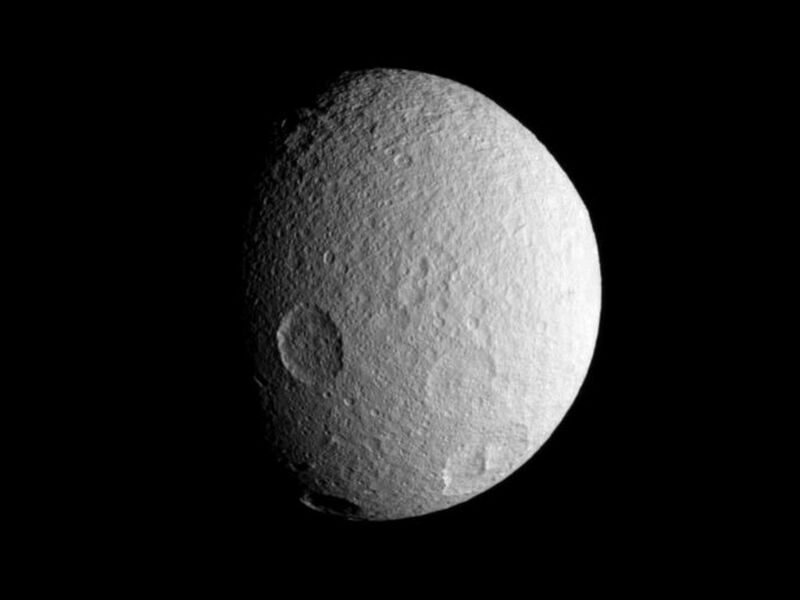 Lit terrain seen here is on the leading hemisphere of Tethys. North is up and rotated 15 degrees to the left. The image was taken in visible light with the Cassini spacecraft narrow-angle camera on July 21, 2007. 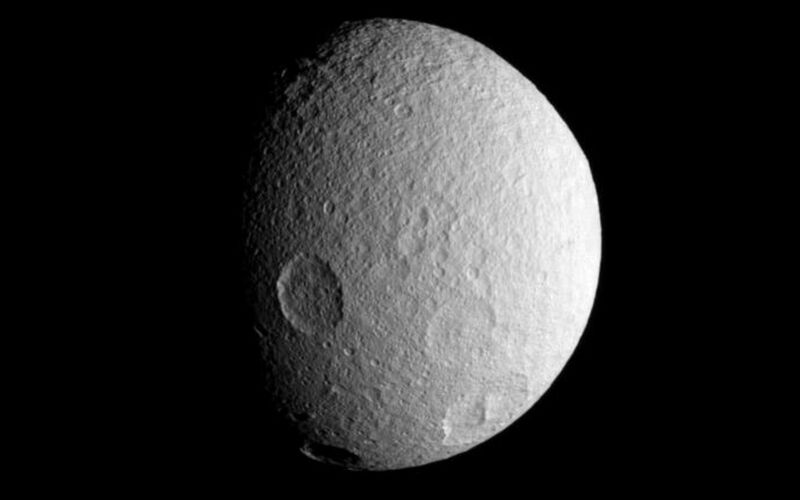 The view was obtained at a distance of approximately 452,000 kilometers (281,000 miles) from Tethys and at a Sun-Tethys-spacecraft, or phase, angle of 54 degrees. Image scale is 3 kilometers (2 miles) per pixel.